I'm not much of a listicle writer, but Boak & Bailey's post on sixteen beers that tell the story of—as they put it—'alternative' British beer over the last fifty years, has inspired me. 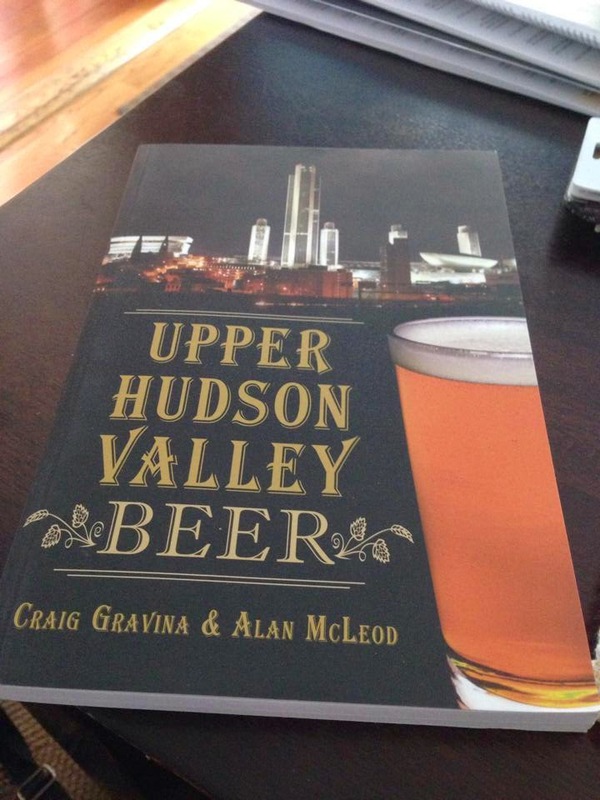 It's an interesting concept, so I asked myself what readily available brews define New York's history with beer? I've narrowed it down to seven. Seven beers who's lives—in some cases—span the 19th century to today. Seven beers that, for lack of a better term, have become iconic not only in New York beer, but in the American beer scene in general. Most importantly—seven beers that can be commonly found in beer stores, supermarkets, and gas stations across the state. 1. Schaefer Beer – Schaefer is not brewed in New York—but it was for 139 years, so let's just overlook that first bit. What can you say about Schaefer? It's a classic. It's been made since 1842. It survived prohibition, set the standard for the Bushwick Pilsner, became the official beer of the Brooklyn Dodgers, out-sold Budweiser in the late 1950s, and during the 1960s it sponsored a series of concerts in Central Park, featuring a few acts you may have heard of—The Who, Led Zeppelin, The Doors and the Beach Boys. Stroh's bought it in '81, and Pabst has steered the ship since '99. Oh, and that's right Schaefer was also an Albany hometown brew until the 1970s. It's brewery in Brooklyn exceeded capacity and they bought Beverwyck Brewery in 1950. 2. Utica Club – Ah UC, the pride of Utica, Uncle Charlie. UC was the first true beer brewed in the United States after the repeal of prohibition (Three-two, notwithstanding). 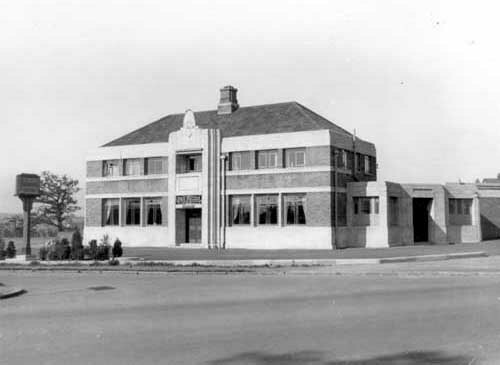 In fact, the name 'Utica Club' was taken from a line of soft drinks made by the Matt family and West End Brewery during prohibition. While UC was popular in the decades after repeal, television would take it to another level. In 1959 the beer's lovable beer stein mascots Schultz and Dooley (voiced by comedian Johnathan Winters) were introduced, and UC's place in New York beer history was solidified. 3. Genesee Cream Ale – Love it or hate it, it is ubiquitous. Introduced back in 1960, Genny 'Screamers' really came into their own in the 1970s and early 80s. Packaged in cans and/or a stubby bottle with the green and white label, Genny Cream has become known—as its website notes—as the beer multitudes stole from the garage refrigerator while Dad's attention was elsewhere. It even got a mention by Vigo Mortensen in the 2005 movie, A History of Violence. For those who might pass judgement on the Screamer, it's won two gold, five silver, and three bronze medals at the GABF, so somebody likes it. I know I don't live in NY or indeed anywhere in the USA but I automatically think of Brooklyn Lager. That's saying something since Nate lives in Norwich, U.K.
5. Saranac Pale Ale – This might be the first craft beer I ever drank, and to my thinking is most likely the beer most thought of when speaking of New York craft beer. Brooklyn Lager may have been the "first" well known New York craft beer, but New York City is a market unto itself, and distribution north of the Harlem River was scarce for Brooklyn in the late 80s and early 1990s. That left the rest of the sate wide open, and since the West End Brewery was already successfully contract brewing a number of craft beers—such as Pete's Wicked Ale, Brooklyn Lager and Newman's Albany Amber—the Matt family decided to develop their own line of craft brews in the early 1990s and their Pale Ale was released in 1994. Today Matt Brewing Company and the West End Brewery* are the 6th largest craft brewery, and the 12th largest brewery in the country overall, based upon 2011 beer sales. Without fail, at least a few bottles of Saranac Pale Ale can always be seen floating in a cooler of ice at summer barbecues across the state. 6. Ommegang Abbey Ale – Back in 1997 Belgian beers were around—Duvel, Hoegaarden, Chimay—but not many folks were making Belgian-style beer in the U.S., and they especially weren't open-fermenting them on a 136-acre, reproduced Belgian farm-brewery, in an area that was otherwise known for baseball. With the opening of Brewery Ommegang and the introduction of their Abbey Ale, the American-beer market would never be the same. Ommegang's Abbey also helped to usher in the era of the big beer. At 8.5% ABV, Ommegang's Dubbel was far stronger than most of the other standard run, flagship, American-made beers at the time. Ommegang Abbey has become the gift-givers brew, as well. Many a Christmas has a corked bottle of it been brought to my house. Let's be honest, nothing is much better than a fruity Belgian Dubble and a cheese platter to munch on. 7. Southern Tier – I used Southern Tier's IPA in the photo because that's what I had in the fridge, but, ST's place on the list isn't so much about a single beer, but the brewery itself. Opened in 2002, Southern Tier has become the epitome of the modern New York craft brewery. There's a trend—and not just in New York—of tiny towns producing fantastic beer. Southern Tier, fits that bill. The brewery calls the western New York village of Lakewood (population 3,002) home, yet the brewery's logo—lit up in neon—is becoming increasingly common in pub windows across the state. Grocery stores and gas stations are also carrying it products—everything from their Porter to their 9.5% ABV, hop bomb, Unearthly IPA. There you have it, the seven beers that—in my humble opinion—shaped the New York beer scene. *Contract brewing has been pretty lucrative for Matt Brewing Company. They produce almost 30% of all the craft beer made in New York. "Back in '87, California had Sierra Nevada and Anchor breweries, and..."
Hey, HEY! By '87, the west coast had tons of breweries. It's very difficult to see Oregon from that distance, but we had already had Cartright ('80, dead '81), Widmer, BridgePort, Portland Brewing, the McMenamins and a few others. Washington had a handful as well. Sort of relatedly, I'm not surprised a Brit cited Brooklyn Lager. When I was in Britain in '11, evidence of Garrett Oliver and Doug Odell were everywhere. Oliver was actually in the country then, and brewers kept asking me if I knew him. I tried to explain the size of the US and the distance between Oregon and NY, but they still couldn't believe I could have passed this lifetime without having met him. He's big there. Okay, okay, Jeff. Oregon is now duly noted. One of my first jobs was a barback at a resort in the Catskills where an old bartender always asked me to bring a case of Schaefer when he meant Bud. I drank way more Genny than prudent while at college about an hour south of Rochester. I used to buy a 6 of UC for $1.99. Saranac is my go to beer that can always be found in my fridge. I currently live about 15 minutes from Ommegang. I enjoy Brooklyn Lager and believe Southern Tier scores very high at RateBeer. I personally app;laud your magnificent 7. I applaud your commitment to New York beer! .. Matt Brewing Company, Utica, NY, is near Varna. ['bout 90 miles south west via NY-12 and NY-13]. I had a delightfully time with an extended Utica family of a Colorado friend last October. We drank a good deal of very good Matt Brewing specialty beers. I have an empty UC can in my study as a memento. Varna is out near Ithaca, NY. Matt's is in Utica, or about an hour and 45 minutes Northeast of Varna. I got the distance right according to maps.Google. NE / SW depends on point of reference. .. And, admittedly, I forced the reference of 'near Varna' to use the near homophone of the ancient Sanskrit term: nirvana. Went right over my head—but clever nonetheless. I appropriated it from a State of New York beer or hops blogger. I will try to find who and give credit in future. .. My wife and I depart this evening for Copenhagen. My son and family moved there this Spring. TheBeerNut_Ireland gave me several clues and I have 03 weeks to investigate CPH as a beery destination. Nice list, though I would substitute Ithaca Flower Power for ST IPA - just because I think it's the best IPA produced in the State, and Ithaca Brewing is another of those small, upstate NY brewers that's making a name for itself (and because the whole list thing is supposed to encourage discussion/debate, right?). . . .
Ithaca is a great brewery, but my reasoning behind Southern Tier is that it's becoming a nationally recognized brand. Ithaca—as much as I'd love it to be—is not. I've seen Southern Tier's stuff in South Carolina. Yeah, I understand that reasoning. And frankly, I happen to think that ST does a better job across-the-board than Ithaca (which may help to explain their spreading success). For instance, while I'm not a fan of pumpkin beers myself, their Pumking seems to be getting them wide acclaim.  Personally I've always been fond of their bigger stouts - i.e., Choklat, Mokah and Oat (though I believe they discontinued that last one) - and have enjoyed a number of their beers. In contrast, beyond Flower Power and some of their larger bottles (Old Habit comes to mind), Ithaca hasn't overly impressed me.